Product prices and availability are accurate as of 2019-02-05 18:26:37 UTC and are subject to change. Any price and availability information displayed on http://www.amazon.com/ at the time of purchase will apply to the purchase of this product. 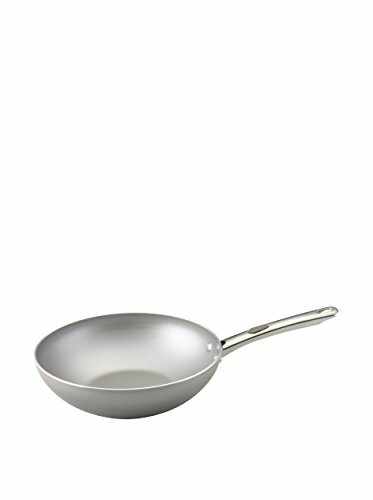 This fry pan is made of aluminum to heat evenly--you'll know it the first time you cook an evenly browned frittata. The glass lid allows you to watch your food while looking in flavor and nutrients. The nonstick surface makes clean up easy and the handles stay cool on the stovetop. 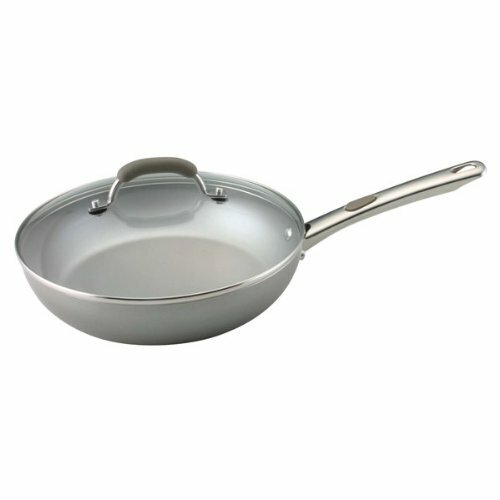 Unique platinum - colored nonstick inside and out, complements any kitchen Heavy gauge construction for even heat distribution and perfect cooking performance Riveted silicone enhanced handles for security and comfort Oven safe to 350Â°F Dishwasher safe.